Sparta Biography, Discography, Music News on 100 XR - The Net's #1 Rock Station!!! 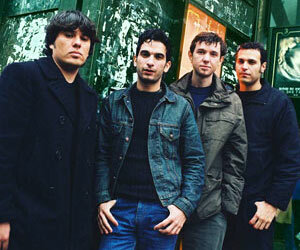 Rising from the ashes of the Texan band At The Drive-In, the Alternative-Rock four-piece outfit Sparta was formed in El Paso, Texas USA, in 2001 by singer + guitarist Jim Ward, guitarist Paul Hinojos and drummer Tony Hajjar; a few months later they were joined by bass player Matt Miller. 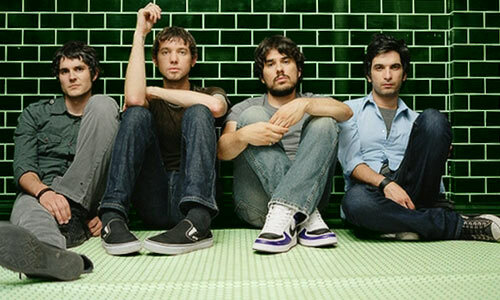 In the spring of 2002 the quartet released a 4-track EP entitled "Austere" and played several shows with New Jersey alt-Rock act Thursday; later in the year Sparta were signed to DreamWorks who released in August their debut full-length disc, "Wiretap Scars"; the record reached the #71 position on The Billboard Top 200 Albums chart and the first single, "Cut Your Ribbon", was aired on modern-Rock radio stations. The second single, "Air", enjoyed chart success breaking the top 40 of The Mainstream Rock chart. A change in record label saw the group moving to Geffen Records, for whom they recorded a new album, "Porcelain", which was issued in the summer of 2004, it rose to #60 on the U.S. Top 200 chart trailed by the single "Breaking The Broken". Two and a half years later Sparta released, "Threes", the band's first album for Hollywood Records and also the first to feature guitarist Keeley Davis, who filled the void left by Paul Hinojos; Hinojos exited the group in May 2005 to join his former At The Drive-In bandmates in The Mars Volta. The first single off the CD, "Taking Back Control", hit #24 on The Hot Mainstream Rock chart and #25 on The Hot Modern Rock Tracks.